Muddy says: Winner of Kent’s Best Bar in our Muddy Awards in 2018, we are very proud to present this Canterbury bar with a difference in a quirky historic setting. 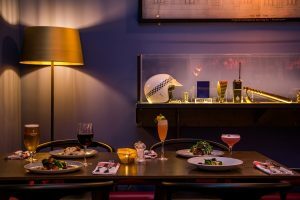 Set within Canterbury’s atmosphere former c1830 City Gaol, Gaoler’s House and c1907 Police Station, providing a very unique setting to enjoy cocktails and eat in their brand new dining space. 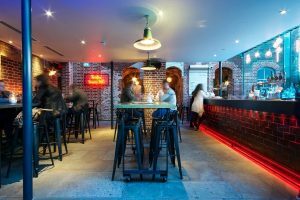 The Pound is home to a very British menu with an exciting list of local beers, ciders, English wine and houses one of the city’s largest gin selections. They also serve a spectacular range of handmade cocktails using premium ingredients and celebrating the best local products from Kent. The Parade Room is their brand new dining space, in the former police station which was built in 1907. 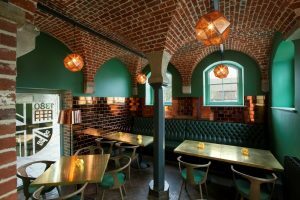 It has now been lovingly restored to celebrate the space’s unique past and original features making it the perfect setting to enjoy their new British Gastropub menu – served every evening from 5:30 pm. There’s also a small plate menu served on the ground floor bar between 12pm and 9pm Monday – Saturday. 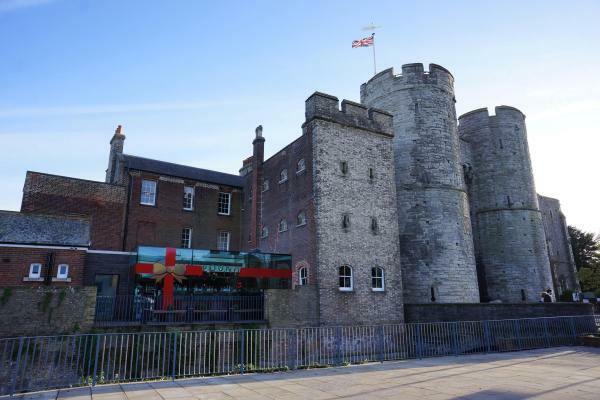 All receipts provide complimentary entry to the Westgate Towers Museum & Viewpoint so that you can enjoy the spectacular view of the city from the battlements! It also includes a complimentary 10% discount to the award-winning Escape Room experience.